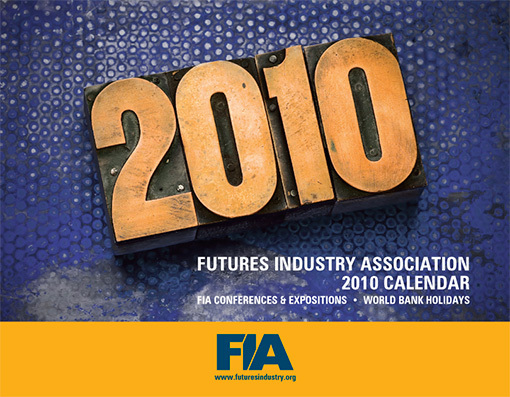 Futures Industry Association, a Washington DC based Trade Association, provides a forum for futures and options professionals from around the world to share information and concerns about the global futures industry as well as serving as an effective liaison between the industry and Congress. It was important that they have a striking, yet highly user-friendly calendar to distribute at their annual conference. The calendar provides details on upcoming events and conferences as well as multi-national holiday observances.